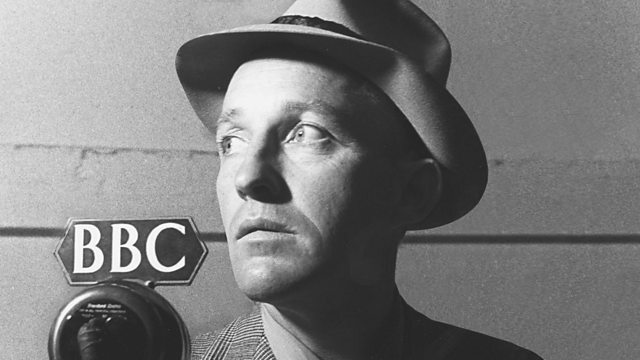 Elizabeth McGovern marks the 40th anniversary of Bing Crosby's passing - and notes the 70th birthday of the first show recorded on magnetic tape - Bing Crosby's Philco Radio Time. Academy Award-nominated actress and singer (Sadie and the Hotheads) Elizabeth McGovern presents a programme commemorating this month's 40th anniversary of Bing Crosby's untimely passing. At the same time the show also celebrates a critical moment in the history of radio: the 70th anniversary of the very first programme recorded on magnetic tape - Bing Crosby's Philco Radio Time. Hear the intriguing story of how entertainment great Bing Crosby was instrumental in adopting tape technology developed in Nazi Germany to change the face of the radio and recording industry. Thirty years after those far reaching changes Bing Crosby spent the last month of his life entirely in England - save for a fateful golfing trip to Spain, during which the crooner carded his last round. The show takes an in-depth look at this time: including the recording of Bing's last Christmas Special and his final commercial album, Seasons; a UK regional tour; a two week London Palladium residency; plus his radio swansong - a BBC session at Maida Vale. As well as playing Crosby's music - and a rare example of Bing reciting poetry! - self-confessed fan Elizabeth unearths archive material from Philco Radio Time, plus the wartime BBC radio show Variety Bandbox. Vintage interviews include chats with Jack Mullin, Anne Shelton, Kathryn Crosby, Rosemary Clooney, Ted Rogers and Alan Dell. There are also brand new interviews with the man who engineered Bing's last commercial recording, Steve Taylor; plus the Music Director of Bing's very last tour and BBC radio session, Gordon Rose. Conceived and co-produced by Steve Levine, Bing Crosby in 'The Road To Rock 'n' Roll' is written and co-produced by Lewis Borg-Cardona and is a Magnum Opus Broadcasting production for BBC Radio 2.